adidas adiPure Low - "Cool Grey"
The adiPure from adidas' basketball range has started to surface in new low-cut colorways. 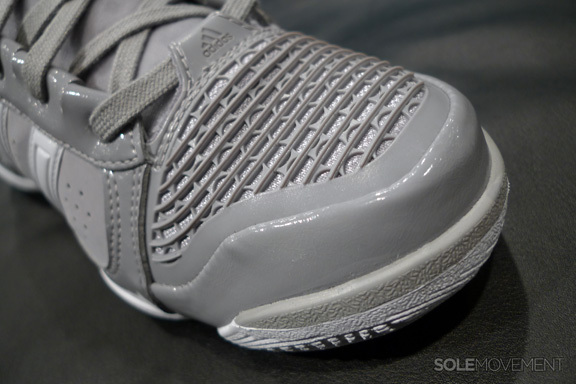 The adiPure is adidas Basketball's latest team offering, featuring brand technologies such as SprintSkin paneling and full-length adiPrene cushioning. 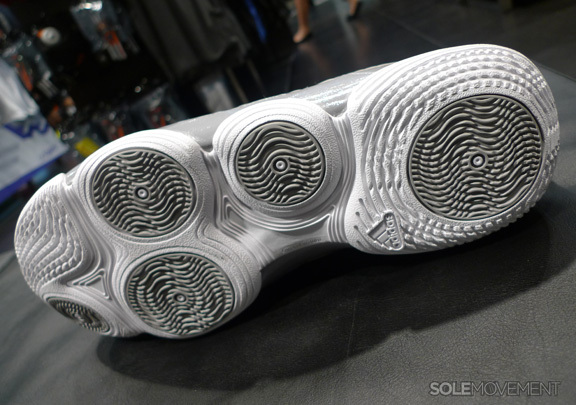 The shoe has already released in an assortment of colorways, including a "Cool Grey" look that surfaced in early February. 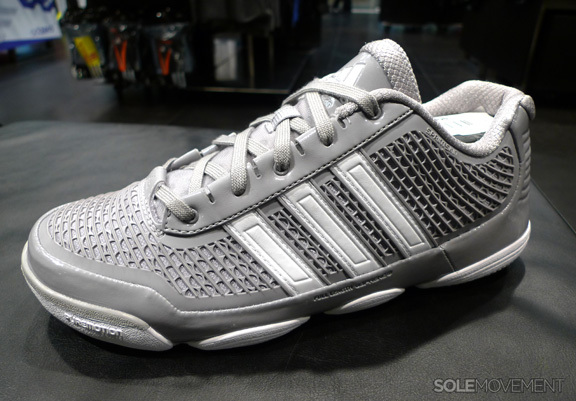 Starting to arrive at retailers this month is the adiPure Low and here's a look at the "Cool Grey" version of that shoe. Pretty much a direct pull from the mid, the shoe sports a cool grey upper, with SprintSkin working the lateral side panel and tonal nubuck used for the medial. Contrasting hits of white are used for adidas branding and the 3-Stripes, as well as the PureMotion-aided ride below. Look for the adiPure to drop at retail spots in the coming weeks.